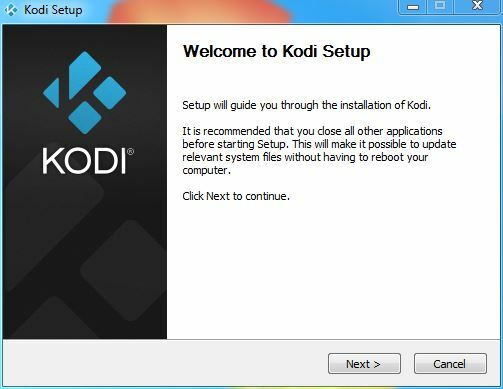 This tutorial walks you through the How to Install Kodi 64-Bit Windows 10 process: step-by-step. Launch the downloaded file. 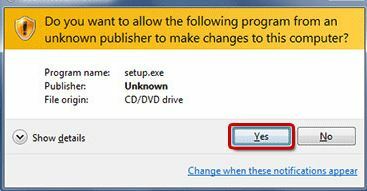 If your Windows computer pops up a “security” notification (like in the screenshot below), then click Yes. If the Kodi installer launches (like in the screenshot immediately below), then click “Next” and continue to the next step. *** If you see an error that says “Unable to start because KB267080 is missing”, then take a quick hop over to our guide to fix that first. 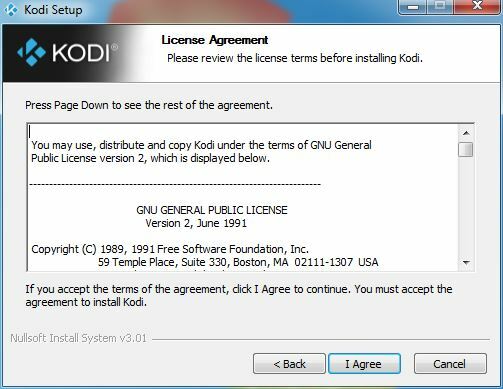 Then proceed with the next step after the Kodi installer launches. 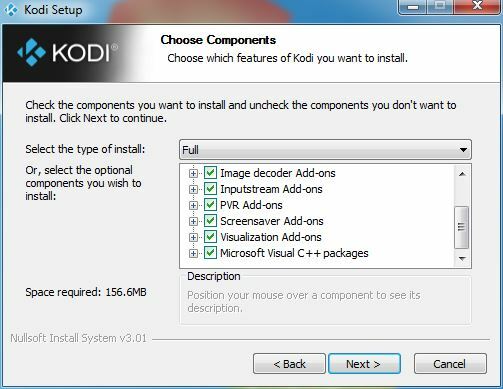 Then click “Next” when you see the “Choose Components” part of the installation screen. IMPORTANT: Leave the “Select the type of install” dropdown-menu set to “Full“. Why? Because this ensures that the “Microsoft Visual C++ packages” box is checked! This is very important because Kodi needs the Visual C Runtime in order to run. These files are a set of essential “support files” for Windows to enable Kodi to run. Leave the dropdown menu set to “Full”. Then click Next to install Kodi. 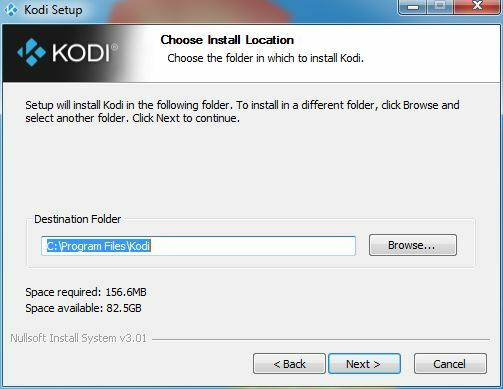 Now click “Next” when the Kodi installer displays the “Choose Install Location” screen. Then wait for Kodi 64 bit to install in Windows 7, 8 or 10! The longest “waiting” part of the install process is in the screenshot below. So just wait for the Kodi install to completely finish. Then continue to the next step. If the Kodi install seems to get “hung up” on this step, then just be patient and wait. 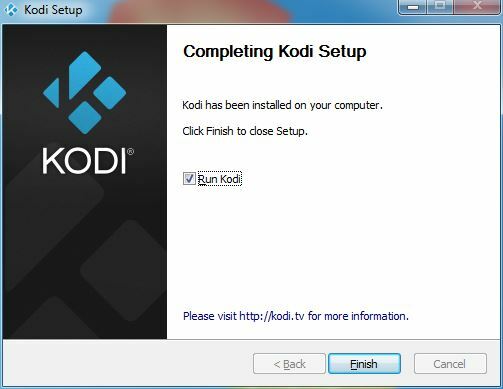 After the Kodi installer is all done, click the “Run Kodi” checkbox. Then click Next to launch Kodi 64 bit for Windows! Did you install TVAddons? If not, use our handy-dandy install tutorials to setup TVAddons in Kodi 64 Bit for Windows 7, 8, or 10. Are you using a VPN when you stream video files with Kodi? You should use a VPN on all your devices at all times to hide your IP, but especially when you use Kodi.